We are eigenklang, an audio/visual art collective from Kassel, Germany. and - we are broke! Starting the project in Germany in Winter 2018 we travelled through Europe, went to festivals in the summer and made a big investment of 1.000 € to finance 40 wireless headphones. Since then we could reach more people and create larger spaces which we often refer to as "playgrounds of sound". In November 2018 we travelled with all our stuff to Bogotá, Colombia for a three months artist residency. There we had the opportunity to play with people with many different backgrounds and we learned that through our performance we can connect people which have no language in common and helping them communicate only through sound. 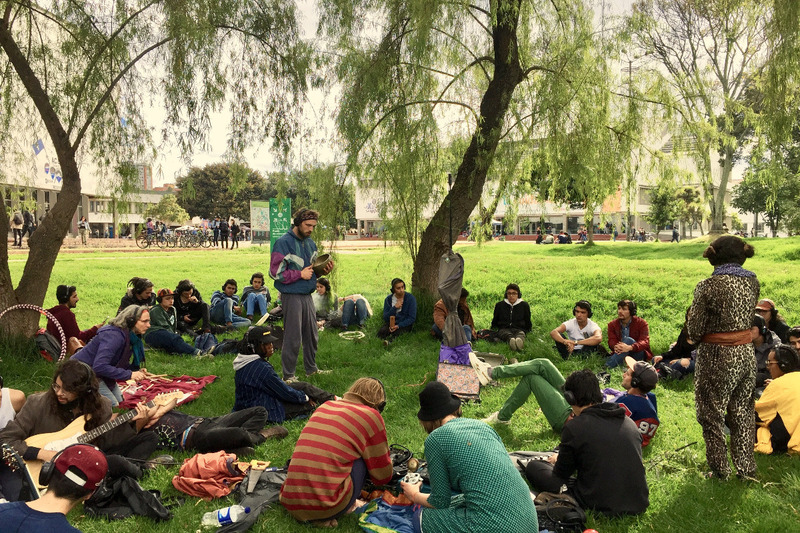 We made a sound installation in the centre of Bogotá, inviting the whole city to spend the afternoon in the universe of sound, got invited to the sound art class of a bogotan university, travelled the country and had many happening in remote villages, cacao fincas and with children in caribean villages. 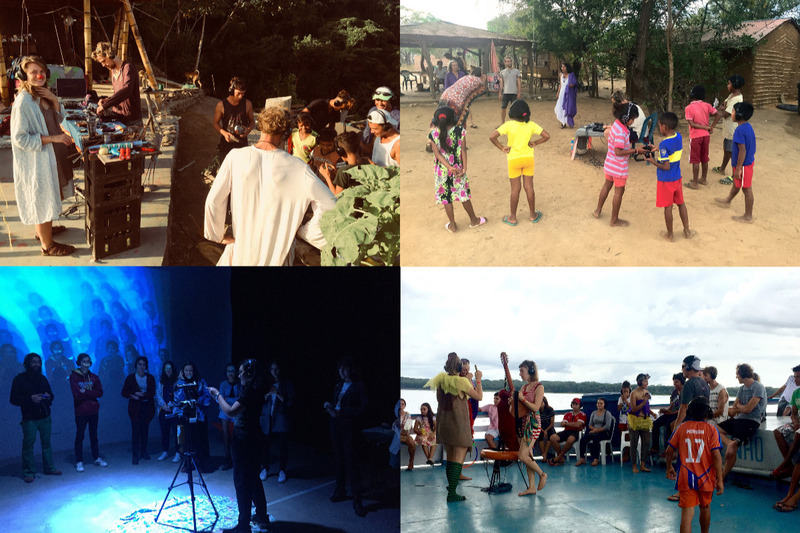 Trough many events we collaborated with different Colombian artists and together with two of them we decided to move on even further and, once again, packed all the equipment and went south to the Amazon River. Our destination is a small festival, organized by an alternative art collective called Voodoohop in the south of Brazil. On the way we already had many moments of eigenklang magic with people from the Amazon jungels, on river boats and on the streets of riverside towns. Since a month now we realized that we finally are running out of money. So far, the project was financed by our private savings, a student scholarship and donations by friends, families and some payments we received for events. We realized that we are very good in making people happy but very bad in making money with our passion. We need around 350 to 400 € for a flight ticket for Elli, our friend from Colombia who joined our collective and, as a professional clown, plays a big role in connecting with people. She has the wish to keep working with us and wants to join us for the summer in europe. 500-600 € for travel costs for the last remaining 3000 km for our group of 9 people. If there is more money raised we will use it to buy building materials to finally build our performance pop-up van in Germany. We are gratefull for all donations that reach us!